In response to my article last week about maintaining positivity in the face of adversity, a reader asked for my feedback about long-term contracts (LTCs) of the type used in the aerospace industry. For those of you not in aerospace, most OEMs in our industry “encourage” their suppliers to sign long-term contracts for the parts we make. The contracts serve many purposes but the main advantages for OEM’s are price stability, delivery continuity, and (their) inventory reduction. Gemeinschaft is a German word that seems to reflect what the purveyors of LTCs mean when they refer to them as “we win/you win” documents. Loosely translated, gemeinschaft refers to the common good. The German root word “gemein” means common. The word “schaft” stems from the German word make. If you are not careful, those heartfelt notions of Gemeinschaft have a way of devolving to your customer getting the gemein and you getting the proverbial schaft. The reason for this is simple, much like Frankenstein’s creature, LTCs are not written for the common good, rather they are written for the benefit of their creators. As the expectations placed on OEMs and their CEOs have grown, right or wrong, LTCs have become influenced by bad supplier experiences. For every new paragraph that gets added to an LTC by a corporate lawyer, guaranteed there was a costly supplier issue that informed its creation. I keep this in mind to focus on just those lines in the contract that could put my business at risk and are therefore deal breakers. Of course, if you find yourself in a situation where you’re praying for divine intervention, know that a contract that binds only one party is not enforceable due to what is called a “lack of consideration.” Say for example a contract binds Evaero to sell widgets to an OEM for $100 but the OEM can go to my competitor and buy widgets for $50. Because such a contract binds me but does not bind my customer, one can argue the contract is invalid due to a lack of consideration. For that reason, because many of the LTCs I have signed over the years do not have consideration, I like to refer to them as “pricing agreements” rather than contracts. On that note, a good time to wrap things up. Before I leave, I’ll add a few songs to our Spotify playlist that reflect this week’s events. The song in the video I’m leaving you with isn’t available on Spotify so you’ll have to enjoy it here. Titled “Yardwork in November,” it’s off of the album Gravelled & Green by an old Seattle band The Actual Tigers. Unfortunately, the band broke up shortly before the album was released in 2005 (Wikipedia). Good stuff. 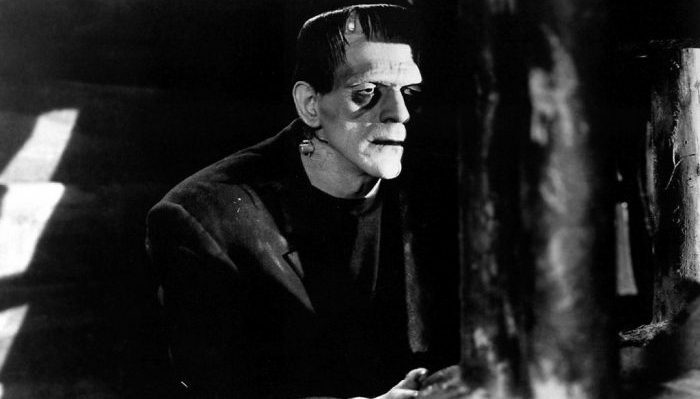 *Victor Frankenstein and his creature having exhibited “dangerous, self-serving behavior throughout the book” both die by the story’s end. (see enotes for a good summary – alternatively read the fine print in your LTC). **I am not a lawyer. I’m not offering legal advice. I’m simply passing along common sense observations learned the hard way through many years in the trenches as a small business doing business with really big companies that seem to love keeping lawyers employed.